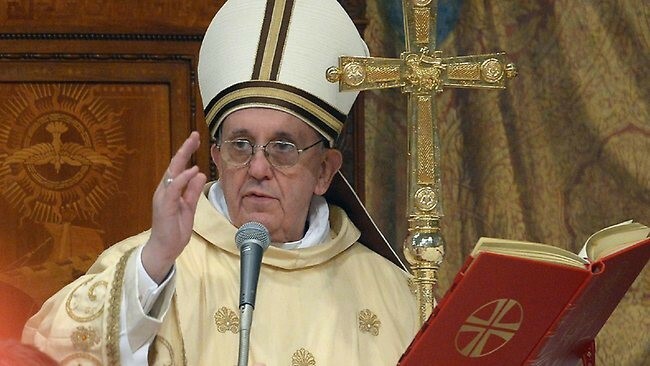 On 13 March 2013 a Roman Catholic cardinal from Argentina, Jorge Mario Bergoglio, was elected by his fellow-cardinals as the new pope of Rome, the official head of the most powerful religio-political institution on earth. He took the name of Francis I. His election was full of deep significance, and almost immediately began to have far-reaching, indeed global, ramifications. There was so much behind the choice of this man. But first and foremost is this fact: Jorge Bergoglio, Francis I, is a member of the Roman Catholic Jesuit Order! He is in fact the first openly acknowledged Jesuit to ever become pope of Rome! And nothing, nothing whatsoever, about the choice of this man is more significant than this. After his election I wrote an article entitled A Jesuit Becomes the Pope of Rome. Now, more than a year later, it is time to further analyse the man and the phenomenal success he is having on the global stage as pope of Rome. I have used that previous article as the basis for writing the present one; but I have added a large amount of new material as well. He was born in Buenos Aires, Argentina, in 1936. In 1958 he joined the Jesuit Order, the most powerful, sinister, hated and feared of all Roman Catholic religious orders, and was ordained as a Jesuit priest in 1969. This means that he passed through the rigorous, arduous discipline which trainee Jesuits undergo. This training is founded on the Jesuits’ manual, the Spiritual Exercises of Ignatius Loyola, founder of the Jesuits in the sixteenth century and its first general. These Exercises were created by Loyola with the aim of producing a unique kind of priest, utterly devoted to the Jesuit general. They are carried out over many days, and involve much use of the imagination, meditations, mysticism, etc. The Jesuit is broken down and then re-moulded in the image his superiors desire, a mere instrument in their hands. Bergoglio spent much time in his early years as a priest studying literature, psychology and philosophy – studies in which the Jesuits have always been prominent. He became a professor of theology and earned a reputation as a Jesuit intellectual. He rose to become in time the leader of Argentina’s Jesuits, and the Romish archbishop of Buenos Aires in 1998. He was made a cardinal in 2001, by the Roman pope John Paul II. According to his official biographer, Sergio Rubin, whose book about Bergoglio is entitled, simply, The Jesuit, he is compassionate, simple and humble. Of course, an official biographer does not expose the warts too readily, if at all, but this is the impression his fellow-cardinals want to give the world about him, particularly now that he is pope of Rome. Rubin said in an interview after the election: “It’s a very curious thing: when bishops meet, he always wants to sit in the back rows. This sense of humility is very well seen in Rome.” No matter what he was before, no man who accepts the exalted position of Roman pontiff is truly humble; and to say that the cardinals appreciate humility is preposterous, for in truth they revel in their power and their positions as “princes of the Church”; and what the Lord Jesus Christ said of the Pharisees is fulfilled just as much in them: “But all their works they do for to be seen of men: they… love the uppermost rooms at feasts, and the chief seats in the synagogues, and greetings in the markets, and to be called of men, Rabbi, Rabbi” (Matt. 23:5-7). As an archbishop, Bergoglio chose not to live in an ornate palace in Buenos Aires, but rather in a simple room heated by a small stove, where he apparently cooked his own meals and travelled by bus in the city instead of using a chauffeured limousine. 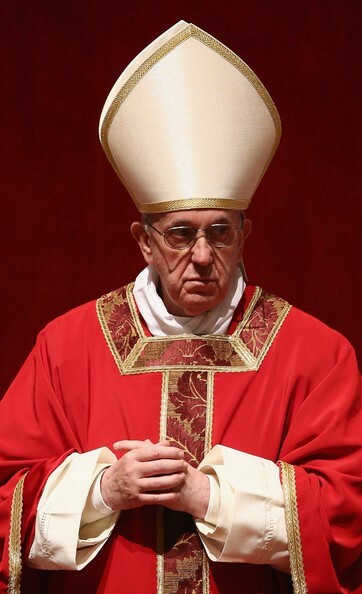 All this of course is held up to the world as evidence of his humility, that he is a man of the people, but again: he was willing to accept the position of pope of Rome, which includes such arrogant papal titles as “Prince of the Apostles”, “Vicar of Christ”, “Supreme Pontiff”, “Holy Father”, etc. In accepting the position, he claimed to be the one who takes the place of the Son of God on earth! This is the meaning of the title, “Vicar of Christ”. Hardly an act of humility, but rather one of supreme blasphemy and arrogance; the very arrogance of Antichrist (2 Thess. 2:4).